Happy New Year again! You may have had a heavy new year celebration so let’s have a light, yet still fun lumiappaday. This has been on every platform in one iteration or another, it’s the simple yet addictive chain reaction style game. Bunch of particles on the screen running and bouncing off walls, pop one at the precise point that you think other particles can crash into it, hence chain reaction. You don’t need any more info than that. Version 1.7 updated with juicy Mango features! – Game runs at 60 FPS! – Fully compatible with fast app switching. 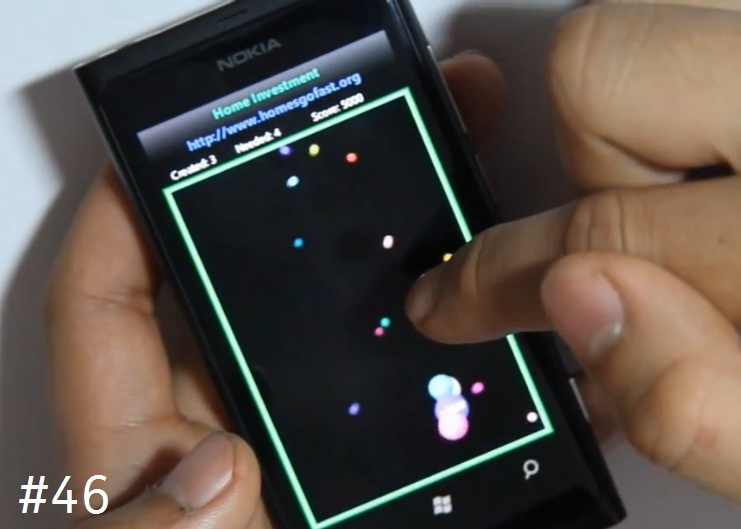 The classic Chain Reaction game is now on Windows Phone 7! Tap the screen to create the initial explosion, then watch the chain grow. Use the in game scoreboard to see how your scores stacks up against the rest of the world!